The Intermec Printer Network Manager™ (IPNM) is a FREE software product provided by Intermec that enables centralized remote printer management across a network. Users can monitor printer status changes and setup alert messages that can be routed to email-enabled devices like cell phones, text pagers or PCs. IPNM enables administrators to simplify the tasks and reduce costs of supporting the operations and maintenance of networked Intermec printers.Bar code label printers can now be managed worldwide from one central location. To make the management of multiple printers easier these printers can be grouped for alert settings. This is a unique function of the Intermec Printer Network Manager software. 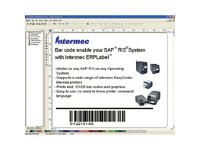 Administrators can categorize printers into groups by region, business requirement (warehouse, manufacturing, office), specific application or their own personalized choice / setup.Once on the network the IPNM software auto searches and locates all Intermec EasyCoder printers on the network. Administrators can then change the printer configuration, alerts, upgrade firmware, and even reboot the printers.There are currently 8 standard alert messages to choose from for alerting the administrator when the printer is out of labels, ribbon is low, head lifted, etc. IPNM will provide statistics of the errors or alerts per group or by printer. The log file may then be exported for use in other applications.IPNM supports all EasyCoder printers that are using EasyLAN and EasyLAN™ Wireless interfaces. Full functionality is available on printers EasyCoder 501XP, 601XP, F2, F4, and F4ci, PF2i, PF4i, PF4ci, PM4i, PX4i and PX6i.Large and medium sized companies looking to reduce management and labor costs for their bar code label printers will find the Intermec Printer Network Manager an invaluable tool. Windows 95, 98, Me, NT4, 2000, 2003 Server or XP. 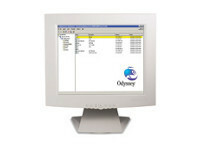 IPNM runs as a service on Windows NT 4.0, 2000 (Workstation or Server Edition), 2003 Server, Windows XP Home/Professional. SMTP compliant email system for email alerts. • EasyCoder 501XP, 601XP, F2, F4, and F4ci,with EasyLAN 100i network interface. • Any EasyCoder printer with EasyLAN 10 network interface. Note: Full functionality is available on printers EasyCoder 501XP, 601XP, F2, F4, F4ci, PF2i, PF4i, PF4ci, PX4i and PX6i. Other EasyLAN interfaces provide printer detection and basic interface information,but not grouping, alerts and printer detailed information. Easy start up – A Start-up Wizard will guide through the initial set-up. Automatic Printer detection – An advanced scanning mechanism will detect any Intermec EasyLAN equipped printer on your network. 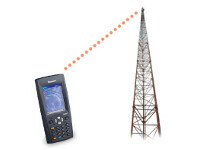 Scanning can be set to scan a subnet or an IP range. Highlighting the individual printer and launching the desired tool below can access printer administration functions. Printer statistics can be viewed and / or downloaded to a log file showing the following.